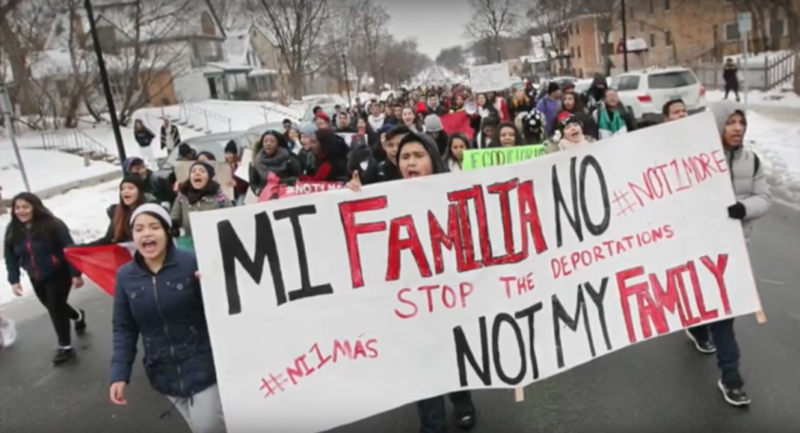 Students from South High School protest deportations. Just two months into the 2017 session, the Minnesota House of Representatives has already put forward two bills that could limit and penalize protest actions in the state. The pair of bills – which increase the fine and penalty for obstructing highway or airport traffic – come from Republican lawmakers in direct response to protests following the deaths of Jamar Clark and Philando Castile. For high school students who cannot vote, protest allows young people to participate in the political process. At South High in Minneapolis, student voice is an important part of learning to be civically engaged. Learn more in this video titled “Outspoken,” created by students Jo Alterini, De’vion Wagner, Jonathan Magati and Tre’von James. When it comes to incarceration rates, Minnesota stands out as one of the few states who is experiencing an increase in their prison population despite prison overcrowding and crime at a 50-year low. While there are multiple factors for this, a significant part of this increase is due to the incarceration of formerly released individuals for non-criminal “technical violations” of parole. On the afternoon of Saturday, June 30, Minneapolis was one of 600 cities and towns across the country to come alive with thousands of people vigorously and collectively denouncing the U.S. government’s federal immigration policies as part of the Families Belong Together nationwide march. Photographer Nancy Musinguzi’s recent photos captured the over 7,000 people who marched to build solidarity among different cultural groups, organizations and socially progressive movements.